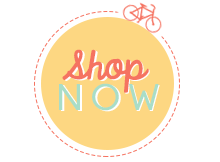 Cathy Caines who is on the Stampin' Up! Artisan Team shared this idea and I love the different packaging ideas. These are some quick and cute gift bags that you can stuff with candy, a small gift, or baked goods. 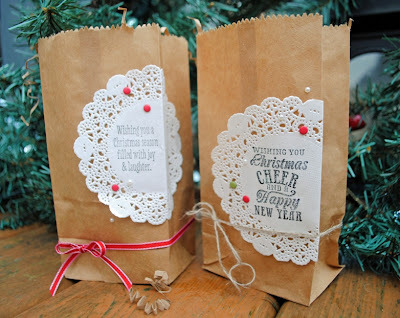 These are brown paper bags that you can find at any grocery store and the Tea Lace Paper Doilies stamped with the amazing Christmas Messages Stamp Set and decorated with Bright Candy Dots and Basic Pearls Jewel Accents. 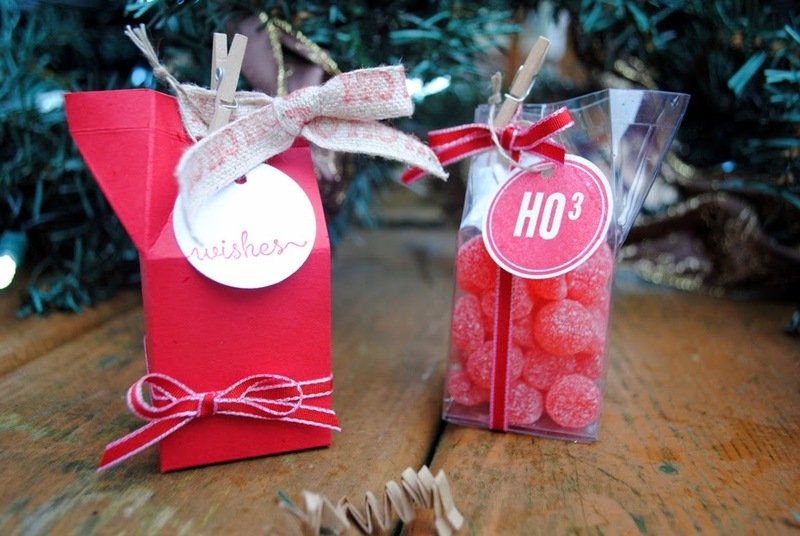 For smaller candy treats, you can use the Bigz L Mini Milk Carton die on cardstock or the Window Sheets so the treat is visible. Dress it up with some ribbon, bakers twine, or burlap ribbon and hand them out to your children's classmates, co-workers, friends, or anybody you want to give a little treat to. Remember to make some extras so you always have an extra gift for that special someone. Happy stamping!